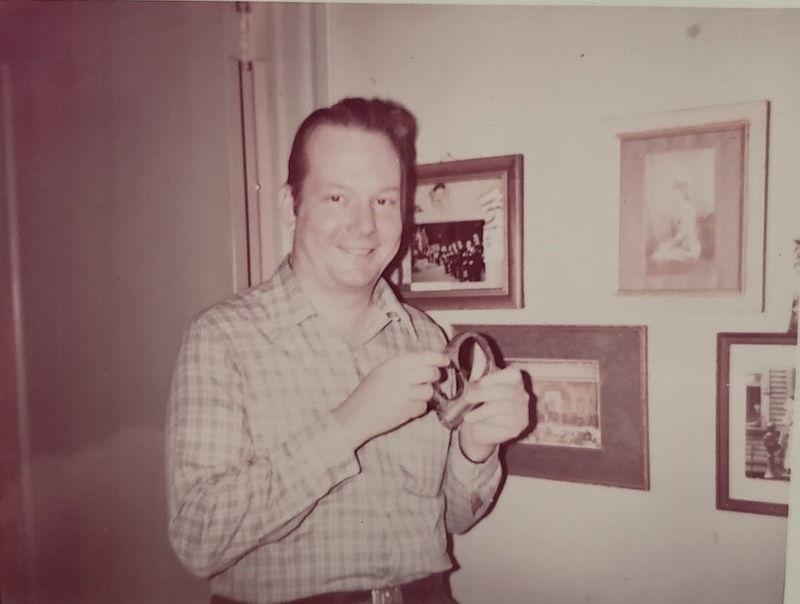 Noted magic collector and Houdini scholar Stanley Palm has passed away. I never had the pleasure of knowing Stanley, but it's clear from the outpouring of feelings on Facebook and magic forums that he was a beloved figure in the magic world and a true gentleman. Patrick Culliton says, "Just heard old friend Stanley Palm has passed on. I'm going to miss Stanley. We had a lot of fun. He and I visited one of his favorite spots: the Gillette Castle. We did a lot of things together very often with my son Kieran when he was a little guy. I knew this day was coming, but, Stanley still had a lot to do." Stanley holds the Mirror Cuffs at the home of the Hinsons. In 2013 I posted excerpts from an audio interview Stanley conduced with Bess's sister Marie Hinson. You can listen to those HERE. RIP Stanley you are going to be miss alot. A giant in Houdini world. My first TV story on magic featured Stanley opening one of Houdini's trunks, allegedly for the first time. It was empty. But he was delightful. R.I.P.